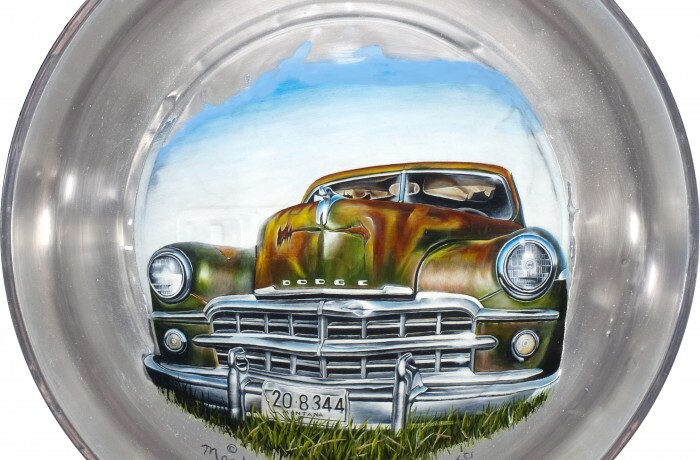 An original oil painting of a Dodge car on a Dodge hub cap; the hub cap is 15" in circumference. I worked on this painting for 2 1/2 years, being the most difficult thing I every painted. It turn out wonderful making hard for me to sell!